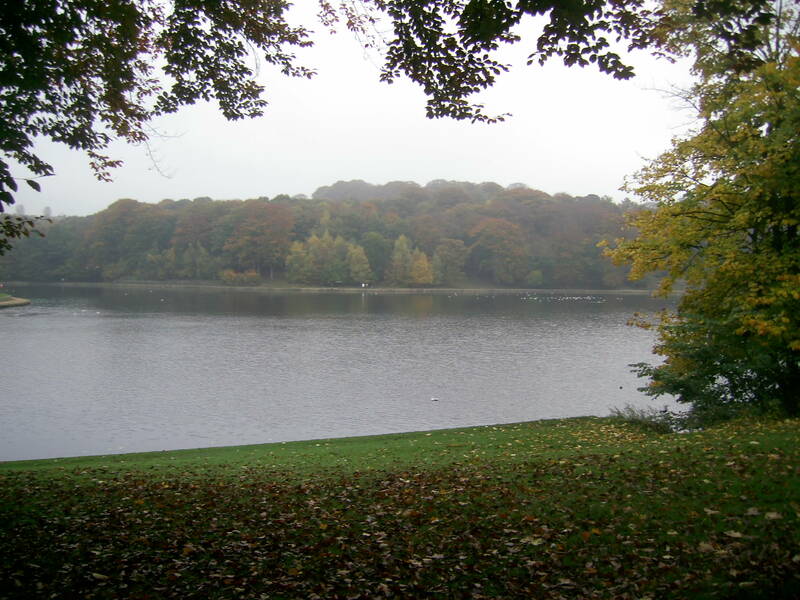 The autumn colours seem to be particularly fabulous this year and our determination to get out and see them took us to Roundhay Park. We had borrowed scooters here before but they have changed where you collect them – now it is from the shop at Tropical World. They take your details and show you how the scooter works. There is a slight snag though if you were visiting on your own – how would you get into Tropical World to collect your scooter? 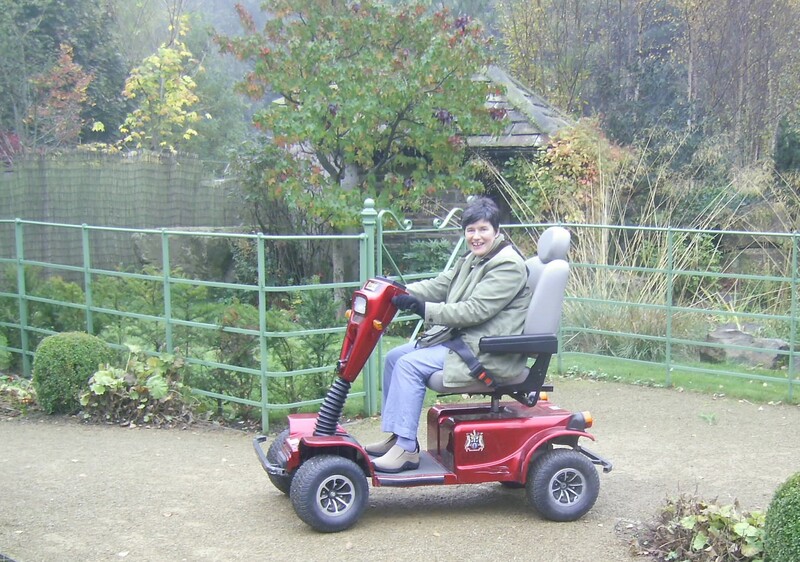 At Temple Newsham, for example, they bring the scooter to your car. I suppose not everywhere can do that but it’s something to bear in mind – you need to be able to get to the collection point or have someone with you who can collect the scooter for you. Huge scooters at Roundhay Park! Anyway, once on the scooter (and they are very high – more so than last time, it was a struggle to get on!) we visited the Alhambra Gardens over the road then headed for the park proper and the colours were absolutely magnificent! So glad we went! The scooters cope with uneven terrain really well but go rather fast when you’re heading downhill and I found it a little awkward keeping the lever in the ‘on’ position but we were out for a good hour and a half, so it can’t have been that bad! According to the council website you need a Radar key for the toilets and beware when looking up the number to ring for booking – the one on the park’s own website is wrong, it’s the one on the council website that is right: 0113 2370754. There is a café at Tropical World and at The Mansion and another by the Waterloo Lake. The booking process was easy once I had the right number, staff were pleasant, the park is wonderful and I thoroughly recommend a visit! 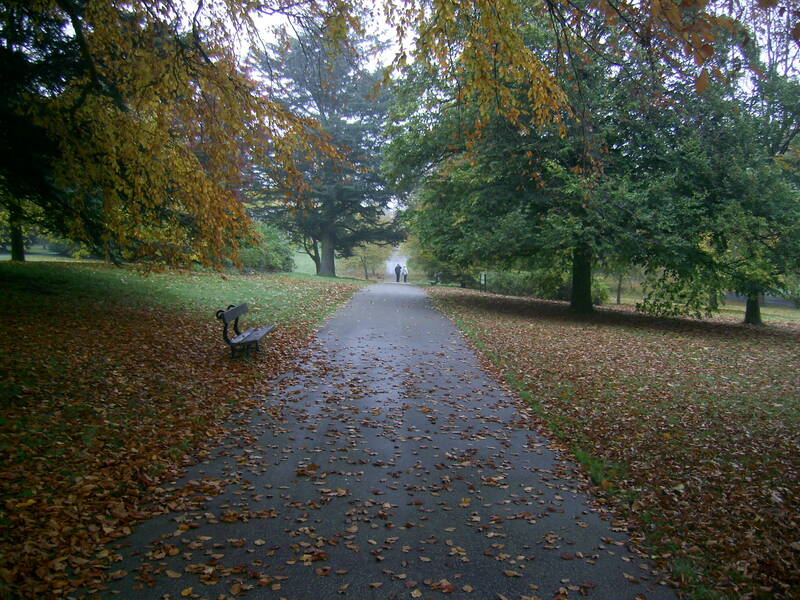 Other great places for Autumn colours are Fountains Abbey and Rowntree Park, York. We were invited here for Sunday lunch with family friends and overall the experience was great: private dining room, good company, relaxed atmosphere and pleasant staff. 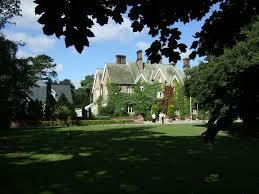 The setting is wonderful, especially on a sunny day with autumn colours everywhere and the gardens looked lovely. The food however was nothing special: I had a starter of prawns in a Marie Rose sauce straight out of a bottle, the roast pork main course was good without being great and the lemon tart dessert was somewhat stodgy; house wine was fine, coffee was good. I couldn’t find anything on the website about access, so I rang to ask and was told that there is a side entrance which is accessible but we just needed to check with reception when we arrived that it was open. Getting round to the side entrance was no problem, and it felt like a proper garden entrance rather than just some random back door, but the threshold had rather a high lip to get over which gave quite a jolt. Inside had ramps and an accessible toilet and although getting into the bar was a little exact, it was manageable and the other rooms were perfectly spacious. Leaving at the end was problematic as the high threshold had a slight slope on the incoming side but none on the outgoing, so my scooter could not have coped with it and we had to lift it over. Presumably wheelchairs cope with it OK given that the place is geared for them generally. On the whole, I like the way they have incorporated ramps without spoiling the character of the building and the staff were excellent at being welcoming and helpful but I would not rush back as the food was not something to go out of your way for. 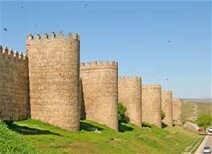 Avila are fully accessible – amazing! I’d love to see how they achieved that. There is of course a debate to be had about how far you alter a historic building to make it accessible and of course, here in York it is particularly relevant. Other European Accessible cities are Salzburg (Austria), Turin and Lucca (Italy), Mulhouse (France), Sozopol (Bulgaria) and Viborg (Denmark). Each city has its own page on the LHAC website with information, promotional videos etc. Great to know that there are moves out there to make places accessible to everyone! Feel free to send this same or adapted text to any papers or mags that you read if you feel it would be good if accessibility got a bit more of a mention! I have been a subscriber for many years and regard you as the best women’s monthly available. I enjoy the inspirational reading, fun articles, cookery and travel ideas (not so worried about fashion and celebs!). Something that has come to be important to me lately is the idea of access. Because I have become more and more limited in my mobility, I have, albeit reluctantly, had to consider accessibility when choosing places to visit or stay. To this end I have started reviewing places, Tripadvisor-style but with an emphasis on accessibility. I have also started writing to the newspapers and magazines I read to ask them if possible that they could give a brief mention to whether for example, a hotel has any accessible rooms, whether a place to visit is accessible to all and to occasionally have an ‘accessible special’ in the same way as you might have a special feature on adventure, family or romantic holidays. After all, there are about 12 million disabled people in this country with spending power of £212bn a year so it’s a big market! I would really love it if my favourite magazine took a lead and inspired others to help create a more inclusive society. Maybe I got it wrong or maybe they have improved, but you can now filter for various accessibility features on Trivago. Looking at a few cottage website the other day I realised that if you have entered dates and there is nothing accessible at that time, then ‘wheelchair accessible’ doesn’t appear as a filter but it will if there are some available – this applies to various sites. Seems like an odd way to do it – other sites show it as greyed out or have a (0) to show there’s nothing available with a particular feature but you live and learn – something to watch out for in the future! The article does cite some companies who are doing good things such as BT, EE and Sainsbury’s who have introduced a system for British Sign Language users to be able to contact their call-centre via video – brilliant! RBS, NatWest and Barclays are developing apps to help disabled customers. It seems so obvious yet it isn’t happening very fast. 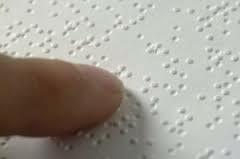 Anyone know of any more good examples of companies which are doing something to make themselves more accessible?